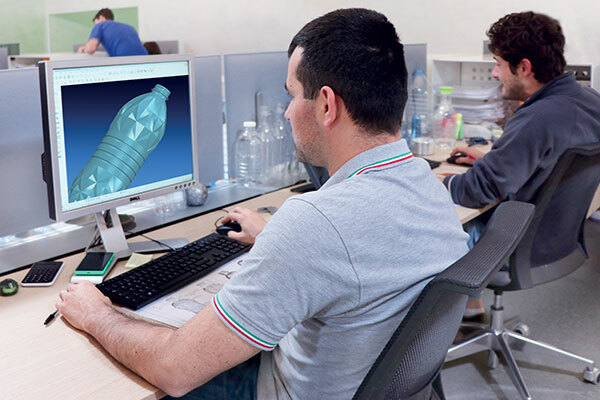 SMI relies on an advanced 3D CAD Department for the design and graphic processing of the bottles. After an accurate analysis of the customer’s requests, the container idea is developed and turns into a detailed project. Up to now, SMI engineers have designed about 1,700 containers, featuring from the most simple to the most sophisticated shape. 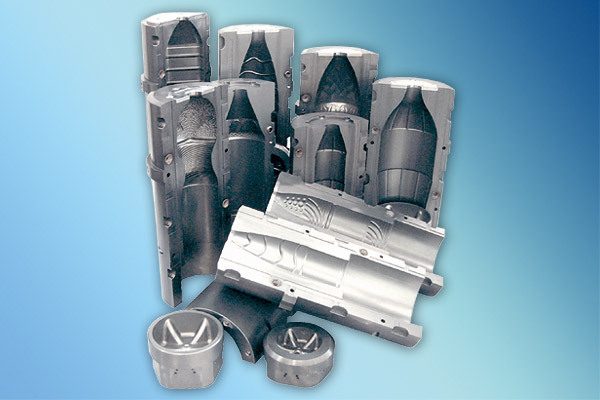 The moulds mounted on SMI stretch-blow moulders, manufactured using a special aluminium alloy, are a “home-made” product. In fact, SMI relies on a special laboratory for the production of moulds and mechanical components, equipped with an FMS line consisting of 12 CNC machining centres: highly automated machines, running 7 days a week round the clock, even operator-less, according to pre-set production programmes (CAM). The 12 machining centres can achieve an output of more than 15,000 moulds per year; they are equipped with linear motors with a speed rate up to 80 meters per minute and mandrels achieving a speed rate of 30,000 rounds per minute. As a result, top-level quality standards are constantly provided. In a state-of-the-art laboratory, equipped with sophisticated technologies, the customer’s preforms are accurately tested before entering the stretch-blowing unit. 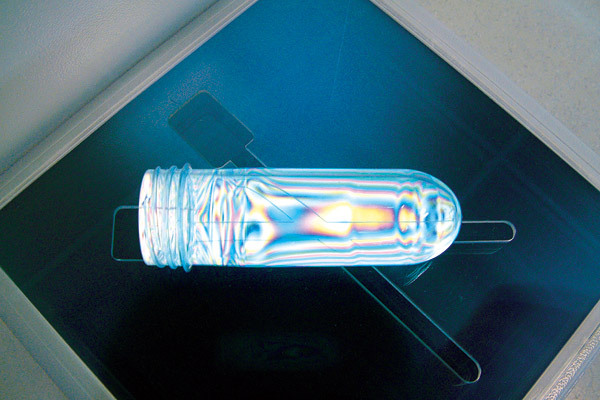 In particular, the preforms size is checked by a videocamera, while a special software for the comparison of dimensional parameters measures the preform walls thickness by means of infrared rays and checks the polymer homogeneity by means of polarized light equipment. 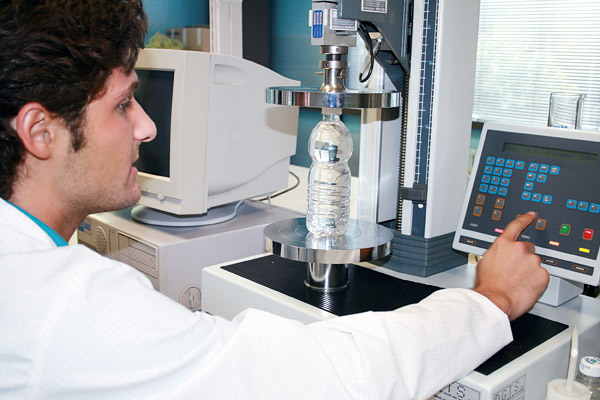 SMI constantly invests in research and development activities, such as testing new materials and applications, especially multi-layer or hot-filling preforms.